Committing yourself fully to a loving partnership - a "we" - can be one of the most beautiful and fulfilling experiences you'll ever have. Yet as anyone in a long-term relationship will tell you, it can also be one of the most challenging. Almost half of all first marriages end in divorce, and chances go down from there. So, how do you beat the odds? 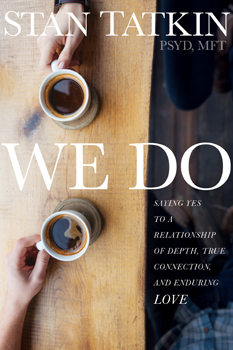 In We Do, psychotherapist Stan Tatkin provides a groundbreaking system for helping couples create meaningful, enduring relationships. According to Tatkin, all couples - once major deal - breakers are out of the way - have the potential for long-term relationship success. But relationships don't thrive for the reasons we think they do, such as shared values or good communication. Far more influential are psychobiological factors, including attachment styles, arousal regulation, family history, and social-emotional intelligence. We Do guides couples through exercises, questions, and real-world challenges that will help them both ensure they are with the right partner and prevent future problems before they arise.